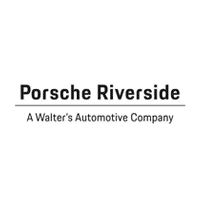 The Parts Department at Porsche Riverside maintains a comprehensive inventory of high quality genuine OEM parts. Our highly knowledgeable staff is here to answer your parts inquiries. Should we not carry a part for which you’re searching, we can always order it for you and receive it within a timely manner. If you’re looking to have your part installed onto your vehicle as soon as you purchase it, our service team would be more than happy to help you out. If you’re installing the parts yourself, we can still offer a few tips to make the whole process a little easier for you. Whether it’s a part for a Cayman, 911, Cayenne, Panamera or Boxster, we’ll make sure that you get the one that you need to keep your Porsche running as smoothly as possible. If for whatever reason, we don’t happen to have the particular part you’re looking for in stock, we can place an order and inform you the moment it comes into our store. Use the buttons below to order parts or contact our Parts Department.